It can be challenging to figure out which features matter the most when searching for the ultimate SUV for you and your family. We decided to look at the top vehicles in each class to determine which ones had the most to offer for the average driver. There’s a whole bunch of information out there, and we distilled it down to the most widely sought-after elements of SUVs. This list includes SUV models from subcompacts to large luxury vehicles, and the best off-roaders too. The top SUV for you will depend on what you consider to be the most important: price, features or mileage. As for safety ratings, we chose only those vehicles with top marks. A couple of them have not been rated, however. We also looked at performance and reliability in our evaluation. Options: Moon roof, leather upholstery, push-button start, upgraded infotainment system, HD/satellite radio, blind spot camera and more. 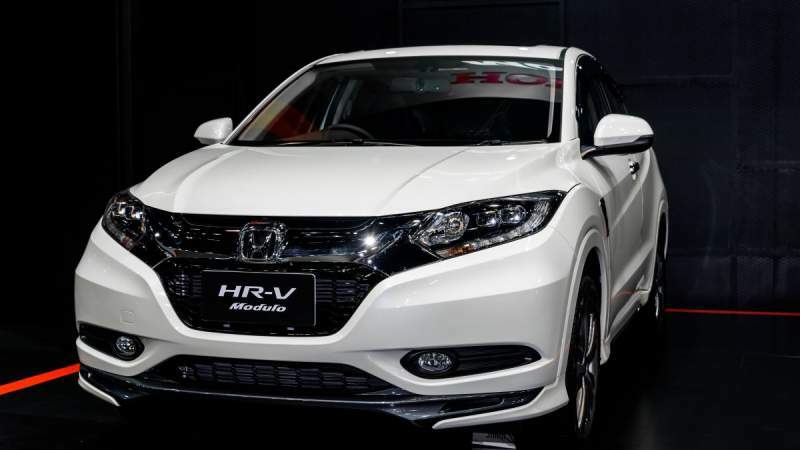 The HR-V has a 6-speed manual transmission, and it’s a four-cylinder, front-wheel-drive vehicle. This isn’t a performance vehicle, so don’t expect super-fast acceleration. However, it would be a great choice for commuting because it has the best mileage of all the vehicles in this class that have the same features. At 58.8 cubic feet of cargo capacity, this subcompact has a lot of interior room. The back seat has enough room to be comfortable without squishing passengers’ knees, too. The back seat will fold down in a 60/40 ratio, leaving a passenger seat while significantly increasing cargo space. Final Verdict: dependable commuter vehicle if you don’t mind manual transmission. Options: Leather upholstery, LED lighting, 18-inch wheels, heated seats, heads-up display, advanced safety package and more. Steering and handling are first class in this four-cylinder, front-wheel-drive vehicle. It comes with automatic transmission, and acceleration is among the best in the subcompact range at 0-60 mph in 8.1 seconds. At the same time, the thrifty gas mileage compares to other subcompacts. The CX-3 ranks first out of ten subcompacts according to U.S. News and World Report. The CX-3 doesn’t have as much cargo room as some other models. However, it’s a sporty choice, with edgy styling like optional 18-inch rims. The suspension and handling make it feel more like a sports car than an SUV. If you’re looking for something fun to drive and cargo space isn’t a deal killer, this is an enjoyable ride with some of the best features in a subcompact SUV. Final Verdict: Great for someone who wants to save on mileage but still have a cool-looking ride. Options: Moon roof, push button start, extra climate control zone, all-wheel drive. With the Honda CR-V, we’re moving up from subcompacts to the roomier and slightly more expensive compact class. This is another four-cylinder front-wheel-drive model with automatic transmission. There’s a lot of cargo capacity with 70.9 cubic feet available. The acceleration isn’t exciting, but it has improved over earlier models. Considering the size of this compact SUV, it almost gets the best gas mileage. With the same mpg as the HR-V subcompact, the CR-V adds extra leg room and enough headroom for everyone. Only the Toyota RAV4 has more cargo capacity, and the CR-V comes with Pandora compatibility as a standard feature. It also has one of the top safety ratings from multiple sources, and it’s the U.S. News and World Report’s pick for top 2016 model luxury SUV in the compact category. Final Verdict: If gas mileage is important to you but you need more cargo space, the CR-V is a good pick. Options: moon roof, satellite radio, sport-tuned suspension, blind spot camera, all-wheel drive. Considered the cousin of the Honda CR-V, the front-wheel drive RAV4 can’t be said to have the best mileage; it falls somewhere in the middle of most rankings. The best features of this compact SUV are the generous cargo space and above-average reliability. If you’re looking for a car that you can depend on, this is important to consider. 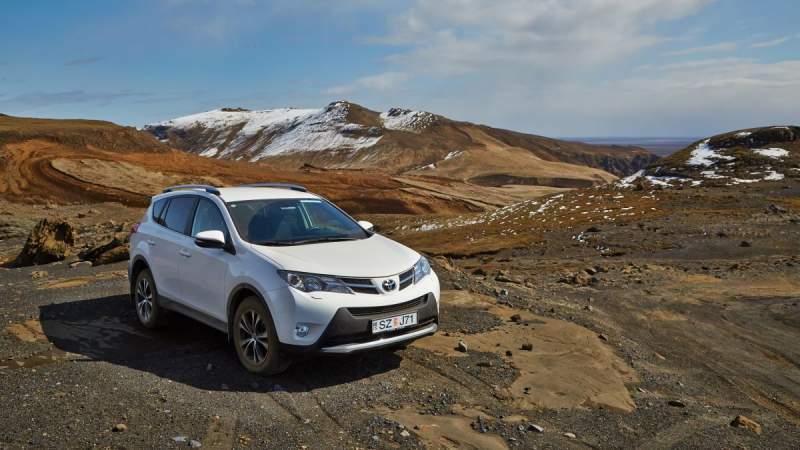 The RAV4 has accurate steering and the automatic transmission provides easy handling, so it’s a pleasure to drive. This four-cylinder vehicle doesn’t have a lot of get-up-and-go, however. It’s fine for passing on the highway but doesn’t have speedy acceleration. On the other hand, it has top safety ratings and a rearview camera comes as a standard feature. Final Verdict: For safety and dependability, this vehicle would be an excellent choice for a family with children. 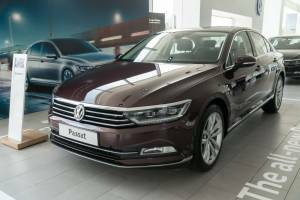 Options: Moon roof, leather upholstery, heated seats, upgraded infotainment system, premium car stereo, push-button start, advanced safety package. The Outback has an automatic transmission with a four-cylinder engine, but the difference here is in the standard all-wheel drive. This feature navigates wet roads, mud, and corners with increased control. The compact sport utility vehicle can comfortably seat five people. With a highway cruising range of 592 miles, you won’t have to stop for fill-ups very often on trips. The basic package on this vehicle includes a rear-view camera, HD radio and a 6.2-inch touch screen, along with the expected USB port and Bluetooth capability. It also gets the overall best gas mileage of the four compact SUVs we researched, beating the Honda CRV by a hair. Final Verdict: This is more SUV than you would expect for the price, which makes the Outback a good choice as a family car that includes plenty of bling. Options: Panoramic sun roof, upgraded touch screen, push-button start, advanced safety package. The Hyundai Tucson was chosen as the best 2016 best compact SUV for the money by U.S. News and World Report. The four-cylinder compact SUV has the kind of quiet cab you would expect to find in a luxury SUV. It’s a four-wheel drive vehicle with automatic transmission, and all-wheel drive is available. The quiet and comfortable ride is one of the most often mentioned perks of this model. The cargo capacity is also good at 61.9 cubic feet. The Tucson comes with a 5-inch touch screen and wheel-mounted controls as standard equipment. One drawback is the fabric seats, which won’t wear as well as vinyl or leather. The Tucson also has the best price of the compacts we studied. Final Verdict: If you’re looking for an affordable vehicle with a quiet ride, the Hyundai Tucson is a good choice. Options: Moon roof, push-button start, upgraded car stereo system, premium infotainment system, HD/satellite radio, advanced security package and more. As we move up into the midsize SUV range, the price is going to rise. Power, handling and cargo capacity will also get a significant bump, though. 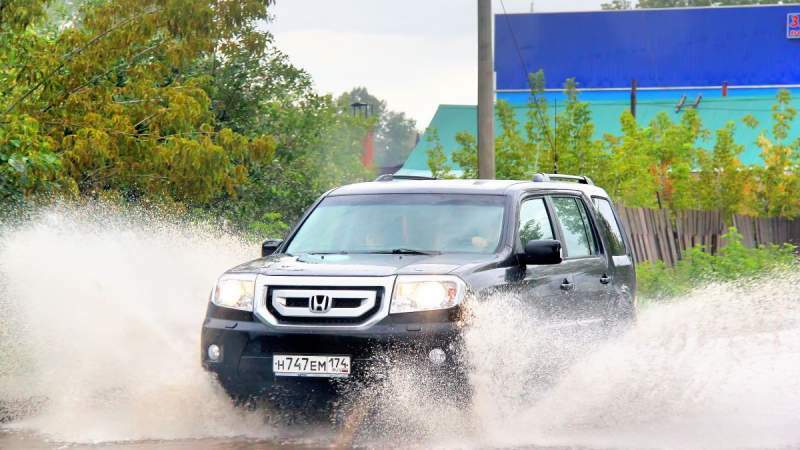 The Honda Pilot is one of the top three midsized SUVs across the board. One of the reasons is the standard V-6 engine, which provides excellent acceleration and passing power. This is a 3-row SUV with seating for eight. The Pilot is a front-wheel drive vehicle with automatic transmission. One of the best features is the quiet interior, especially for long trips. Rough pavement and high speeds can make the interior loud in some vehicles, but exterior noise is minimized here. Toyota offers a comprehensive suite of security features, although you have to upgrade to get some of them. Final Verdict: For frequent long-distance trips, the safety features and responsive acceleration make the Pilot an excellent SUV choice. Options: Panoramic sun roof, upgraded infotainment system, premium car stereo, advanced safety package. The Sorento gets high marks for interior design, with plenty of room and high quality upholstery. There is a third row option, but the engine will struggle with the extra weight. However, you can upgrade to a turbocharged four-cylinder or a V-6 if power is important to you. The automatic transmission is smooth and the Sorento has feather-touch steering for easy maneuverability. The vehicle is front-wheel drive but with an all-wheel drive upgrade available. With the same fuel economy as the Honda Pilot, the Kia Sorento has the best price, even with the third row added. Extra features can drive the price up quickly, though. Upgrading to the LX model costs $4,000, and it includes a voice command touch screen for navigation, along with a rearview camera. Upgrading also adds free roadside assistance for ten years or 100,000 miles of ownership. Final Verdict: If you don’t need the third row of seats and want a vehicle that will handle well and has a turbocharge option, The Sorento might suit your needs. Options: Climate package (heated front and rear seats, windshield and steering wheel), premium car stereo package, advanced security package, parallel parking assistance. With about the same gas mileage as the Kia Sorento, the Volvo XC90 engine has plenty of power to sustain the third row of seats. The base engine is a four-cylinder turbocharged and highly rated engine. The automatic transmission is fluid, and optional all-wheel drive gives extra maneuverability. The one thing that sticks out here compared to the vehicles reviewed so far is the price, which is up to 80 percent higher than the other midsize SUVs. 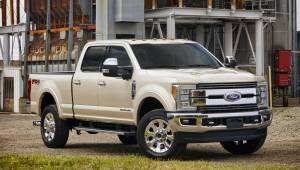 So, what do you get for that extra cost besides a turbocharged engine and all-wheel drive? This flagship Volvo SUV is packed with new features, including an oversized infotainment screen that resembles an iPad. Not to mention that its 0-60 mph acceleration time of 5.6 seconds rivals Tesla vehicles. These perks, added to the roomy leather and wood interior and celebrated Volvo safety record, make the Volvo XC90 the plushest midsized family SUV around. Final Verdict: The Volvo CX-90 is the midsize choice if you want dependability, handling and luxury in the same car.